Perhaps the most beautiful flowering tree in Miri is this tree in Bulatan Park. Flower’s setting now. A little like Japan’s Sakura Flowers Blooming season. The authority should be planting more tree like this at Bulatan Park, letting it be a tourist attraction. LET’s going to see the flowers in Miri. Blossoms of flowers. Please comment if you know the species name of this tree. 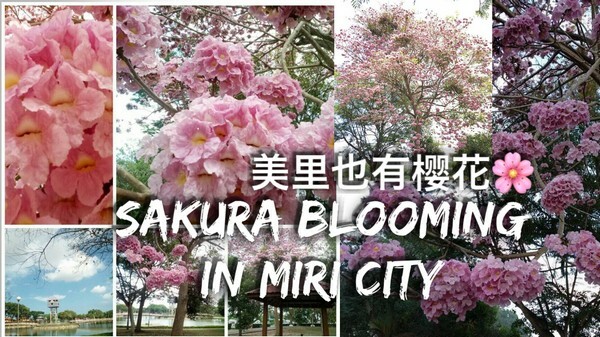 A tree in Miri Lake Park started to bloom a couple of days ago, attracting many people to “take pictures” and become a popular city hot spot.